Are you wondering how Pinterest can help your business drive more traffic to your website or blog? 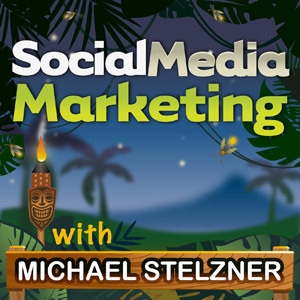 To learn about Pinterest marketing, I interview Melanie Duncan for this episode of the Social Media Marketing podcast. In this episode, I interview Melanie Duncan, owner of Luxury Monograms and CustomGreekThreads. She also does online training for business owners and spends a lot of time focusing on Pinterest marketing. Melanie shares how Pinterest is a different social media platform and why marketers should use it. You’ll learn how to create clickable images and calls to action that will lead to increased visibility and sales. How has Pinterest helped your business? Melanie describes how she stumbled across Pinterest marketing in January of this year, when she started to receive a high volume of traffic and orders to her site. It wasn’t until she logged into Google Analytics that she realized Pinterest’s potential in terms of bringing new customers and traffic to her site. You’ll discover how Melanie formed a Pinterest strategy and how it helped her business get more exposure and sales. Melanie explains how she first saw Pinterest traffic come from Luxury Monograms. People were pinning things from her site, even before she had a Pin It button. You’ll learn how people can pin from your blog or website. 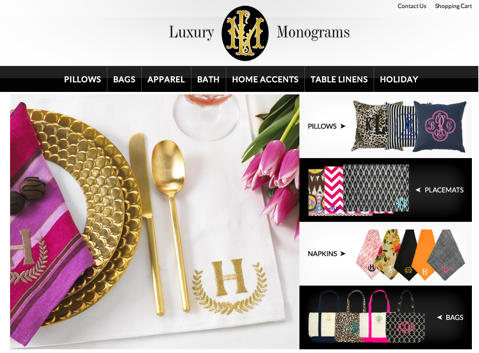 Luxury Monograms was the first website from which Melanie saw Pinterest traffic. Melanie explains that it wasn’t just the high-quality product photography that was being repinned, but also the basic product photos. You’ll discover why it’s not all about the quality of the photos and why calls to action are so important. Listen to the show to find out what calls to action work best and how they can increase engagement by 80%. Melanie explains how Pinterest is a very different type of social media platform and that many marketers or small business owners don’t really understand how to use it for their business. A lot of us start with a personal Pinterest profile. Research shows that 80% of pins on Pinterest are repins. People log onto Pinterest, they look at their newsfeed and repin. They don’t really go out across the Internet and try to find new forms of information to put on the platform. One of the biggest mistakes marketers make is that they don’t create enough original content. You’ll hear what you need to do to make a real difference and get the results you want. Listen to the show to find out where the opportunity is for marketers. Melanie shares how a lot of service business owners believe that they can’t be on Pinterest, as it’s only for physical products. You’ll learn why this isn’t true. Pinterest has a free analytics tool that is available to all business pages now. You’ll discover 3 steps you need to take to have access. 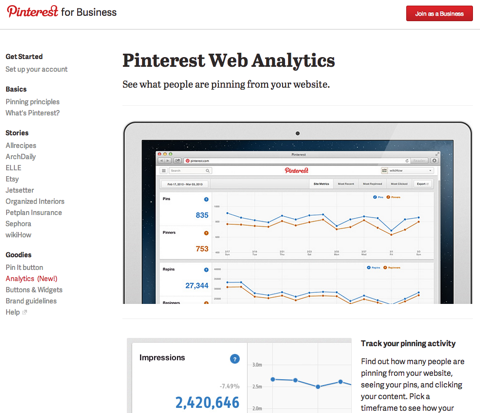 Pinterest has free web analytics for business pages. It’s a very easy tool to help track how quickly people respond and engage with your content. You’ll discover the only way to get traffic from Pinterest to your blog or website and why it doesn’t have to be something pretty. Listen to the show to learn why trending is a great strategy to use. Melanie explains that product-based business owners want to give people information. You’ll hear how Birch Box, a cosmetic brand, created a board for video and how they use it to promote their products. Birch Box on Pinterest has a board for video with cool tips on how to use their products. With Luxury Monograms, Melanie created boards that give people ideas on how to use her products. You can blend your products on a board created around a topic where people search for ideas. For example, Luxury Monograms sells a lot of monogrammed napkins, so they also pin beautiful napkin rings from Crate and Barrel and Williams-Sonoma. You’ll learn how to create teaser content and how it can drive people from the image to your website. Melanie shares why for her personally, video is more effective on Pinterest than on Facebook. Although everyone has different experiences. You’ll discover how video appears on the newsfeed and why it stands out from all the static images. When you want to add text to your images, Melanie explains that you don’t have to be tech-savvy. She uses a free tool called PicMonkey. Listen to the show to find out what Melanie does that refers the most traffic of any other pins. Melanie explains how people on Pinterest do something very different from what they do on Facebook or Twitter. 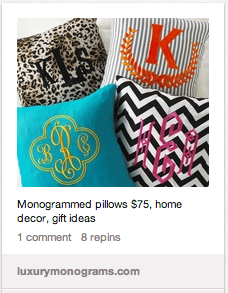 When people are on Pinterest, they are in a very different state of mind. They actively look for products and information to discover. This is a huge advantage for a business or a brand. Seventy percent of people use Pinterest to get inspiration and information on what to buy. You’ll be surprised to hear what the average order value is on Pinterest, compared to Twitter and Facebook. 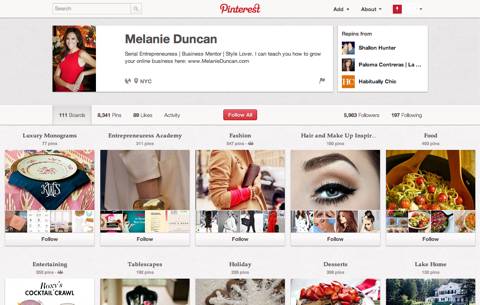 Melanie believes Pinterest is very different in the ways that a brand can engage. On Pinterest, people are shopping. You’ll find out why it’s important to add prices to your pins. Make sure you add a price to your product pins. Listen to the show to hear why you shouldn’t be afraid to sell or promote your products on Pinterest. Melanie says that calls to action are a must. You’ll hear what happened when Melanie tested the same pin with and without a call to action. A Luxury Monograms image with a call to action. If you want to get people to recirculate your content, you need to tell them what to do. You’ll find out what Melanie has on her images to pique people’s interest. Users can discover content on Pinterest in several ways. When you first set up a Pinterest account, they’ll recommend people for you to follow, based upon the different general interests you tell them. You’ll always see in your newsfeed the content that people you follow have pinned. There is also a search box on the top left, where you can search with keywords. Melanie encourages people to use keywords in their captions to help with search results. Listen to the show to hear why there is no preferential treatment when it comes to search. Yes, this is true. I believe that WordPress is where you want to go. Blogger is largely perceived to be the hobbyist platform, whereas WordPress is a more serious platform. WordPress.org is a much more serious platform than Blogger. Here are 3 reasons why you should consider switching to WordPress. It’s the largest, most robust blogging platform, supported by a huge developer community. It’s highly scalable as your blog grows. We use it to run Social Media Examiner. WordPress is something you can install and own your own platform. You can have complete control over it. I strongly recommend that you make the move. The SEO benefits are pretty spectacular. When I was at Social Media Marketing World, I was introduced to a brand-new product called Demographics Pro for Twitter. 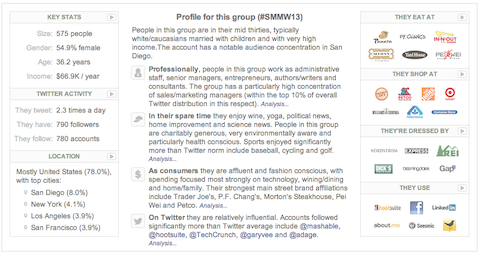 The profile for #SMMW13 group on Demographics Pro for Twitter. You can put in any Twitter ID or hashtag and it will run a detailed analysis. For example, we put in #SMMW13. You’ll be shocked at the analysis it came up with. Connect with Melanie on her website. Check out Melanie’s Power of Pinning training course. Use Google Analytics to track your website performance. 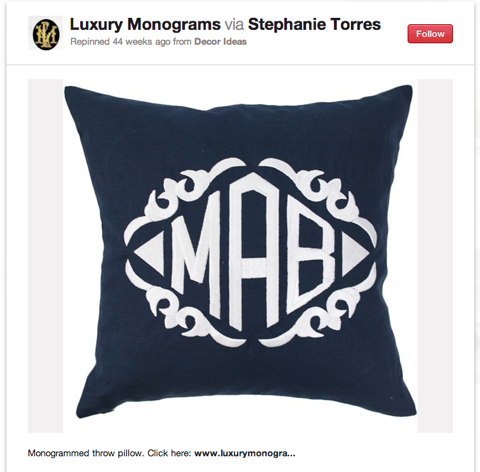 Head over to Luxury Monograms on Pinterest. Learn more about the WordPress Pin It button. Take a look at Click to Tweet. Sign up for a personal profile or a business account on Pinterest. Check out Pinterest’s free analytics tool that is available to all business pages. 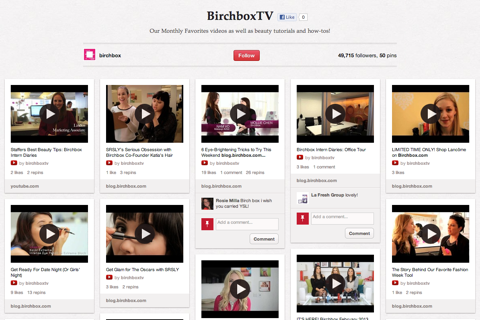 Take a look at Birch Box‘s video board on Pinterest. Head over to Crate and Barrel, Williams-Sonoma and Zappos. Check out PicMonkey, a free online photo editor. Learn more about calls to action. Head over to Ordinary Words. Find out more about Blogger and WordPress, the blogging platforms. Learn more about Demographics Pro for Twitter. What do you think? What are your thoughts on driving more traffic with Pinterest? Please leave your comments below.